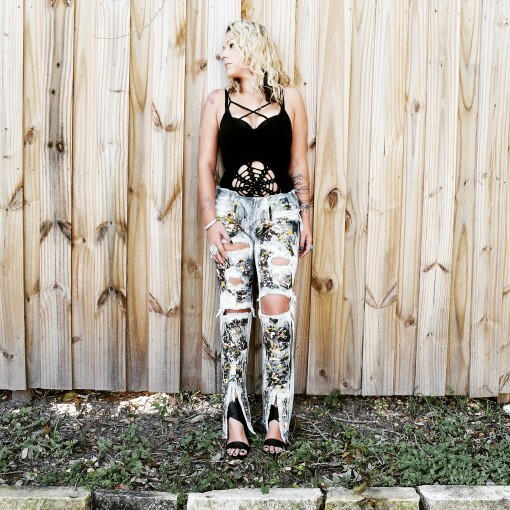 Custom jeans for women. Ripped jeans. Painted jeans. 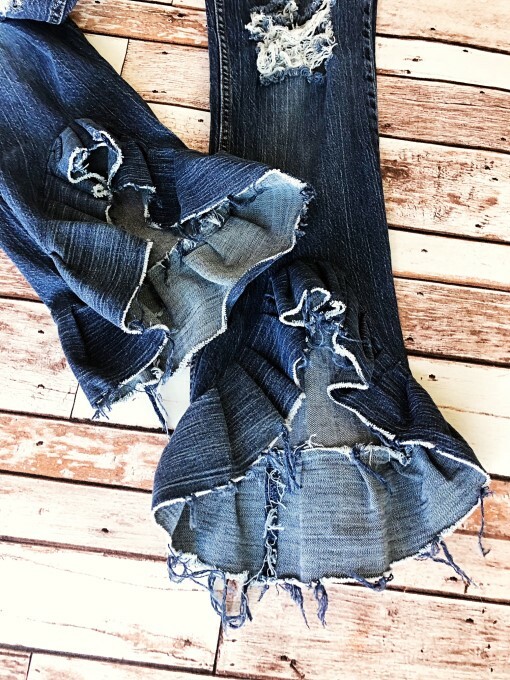 Extreme shredded jeans with pocket detail. Custom. Vintage hand painted floral jeans. Custom. Silver and Gold Stars jeans. Custom. Silver and Gold Stars jean jacket. Custom. Silver and Gold Stars jeans. Ready to ship. 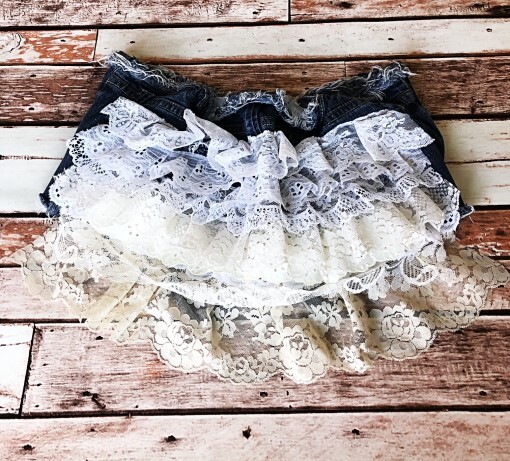 High low ruffle jeans. Custom. 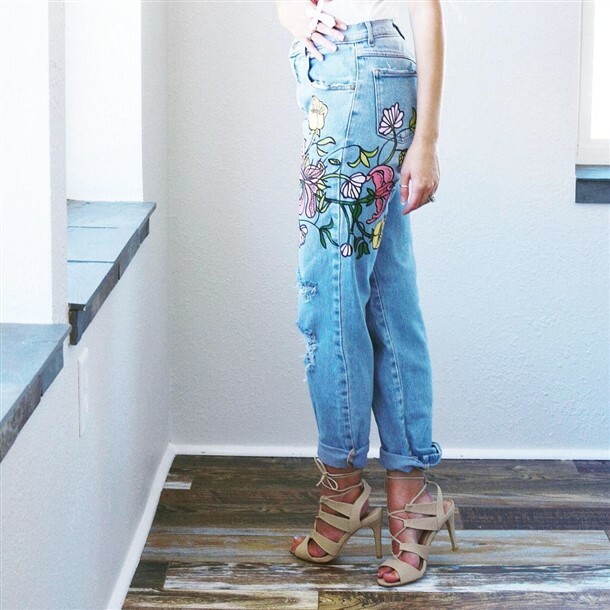 Hand painted floral boyfriend jeans. Custom. Destroyed denim ribbon jeans. Ready to ship. 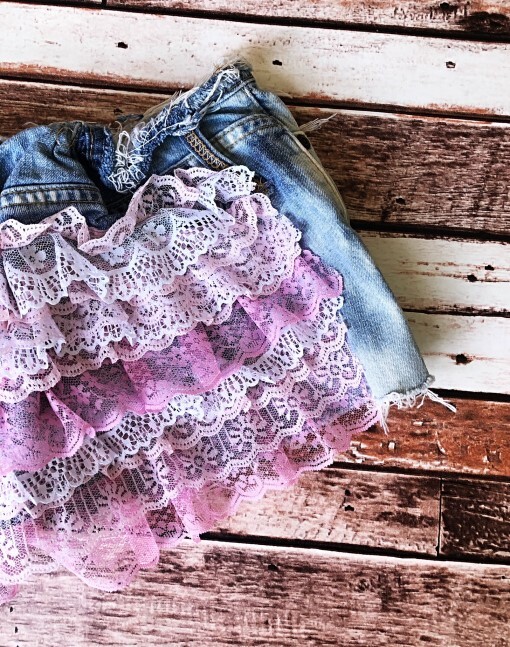 Destroyed denim and lace skinnies. Custom. Boyfriend ribbon jeans in metal. Ready to ship. Bleached and splatter painted jeans. Custom.